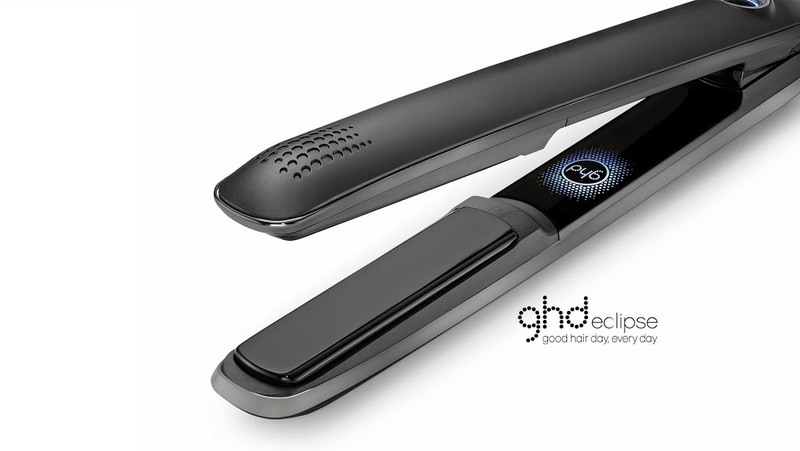 ghd has brought world-renowned session stylist Sam McKnight together with leading fashion photographer Rankin, to create a stand-out campaign that will officially launch its most innovative product in over a decade – ghd eclipse. Sam McKnight created the hair for the campaign – featuring an evolution of texture through five striking images of one model and a short creative film – as his debut for ghd in his new role of Global Creative Director. Rankin – famous for his compelling, creative and iconic portraiture – captured images in a paredback, nonchalant style that makes Sam’s hair looks the focus of the campaign, and brings to life its key message: ‘greatness comes to those who create’. ‘It was great to work with Sam on the new campaign for ghd eclipse. He’s the best at what he does and we were on the same page when it came to the result: showing the life and personality behind the hair he’d created,’ said Rankin. The five hair looks were all created using ghd eclipse. Using tri-zone technology, created exclusively for ghd by its team of dedicated scientists, the styler can take on any styling challenge on any hair type and delivers superior results faster than ever before. The first phase of the campaign features Dutch-born model Milou Sluis. Chosen for her ability to transform her look, she effortlessly encapsulates the ghd brand mantra of ‘a good hair day, every day’.